Trish Hurley received her BFA in Painting from Swain School of Design and her MFA in Painting from the University of Massachusetts Dartmouth. As a child, crayons were her love. Now as an adult, each color evokes an emotion that she portrays in her work. 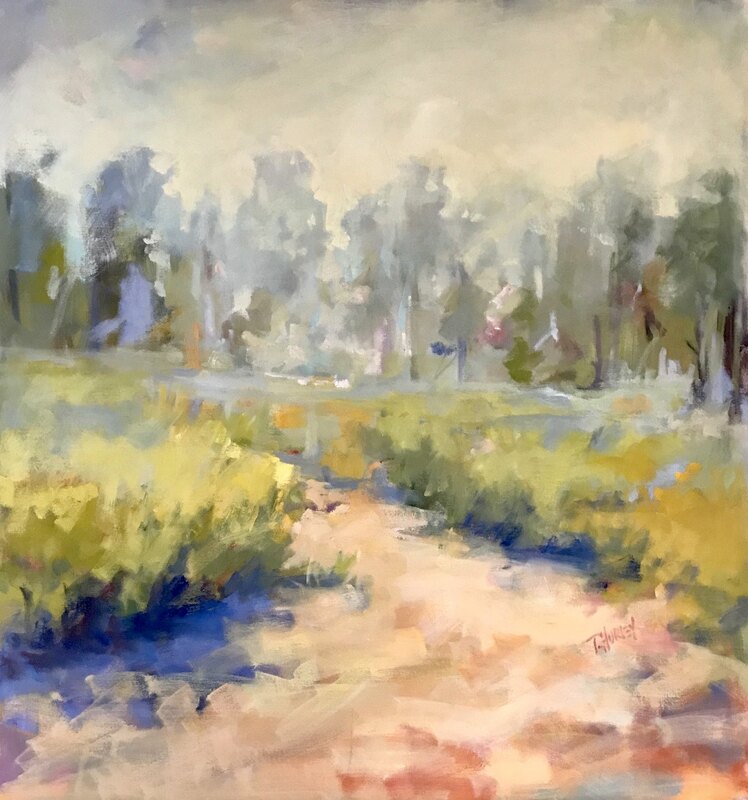 The evolution of her work comes from a fascination with the outdoors, whether it’s walking down a wooded path, a city street or sitting along a river. These visual images are quickly captured in palette knife studies. Once in her studio, larger, generally more abstract paintings are born, more loose and freeing. Hurley lives and works in Newport, Rhode Island. Her work can be found in collections throughout the United States.